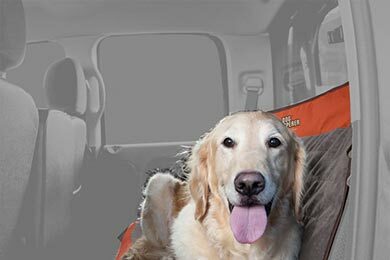 Read 18 customer reviews about Dog Whisperer with Cesar Millan Pet Travel that have an average rating of 4.5 to find out what product is best for your vehicle. I love the quaility of the material and the ease of installing. The same is for the door protectors. Fit my 2013 FORD Explorere just right. The only thing I wasn't crazy about is the orange color. But hey, it is super every other way. Overall I like the seat cover but I feel its lacking a few very important features such as the door panels. 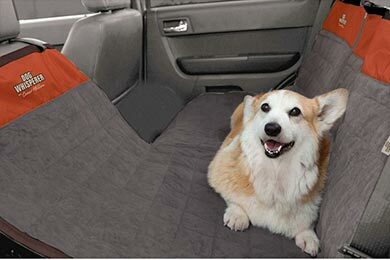 I wish they had a protective flap that would go over the seat and be connected either to the full seat cover to avoid any accidental spillage over and under the seat cover. Still to early to see how it will hold up I have a large lab and a little dog to. One other thing the the plastic inserts for the doors are to large and you have to play with it to keep them on. Reference # 758-167-001 © 2000-2019 AutoAnything, Inc.